Champion Revali’s Song is a new quest in Zelda Breath of The Wild. It’s part of the Champions’ Ballad DLC. You’ll begin the quest by talking to Kass near a monument.... She was the one who started Australia's Eurovision journey in 2014, and Jessica Mauboy has now come full circle, competing in the grand final in Lisbon. Can be nice to help get into position to gank or possibly get out of a bad situation when your mana is low, but you should always be paying attention to your mana and know how many stacks of Riftwalk you have so that you can get out alive. Tasa’s Song, by Linda Kass, is about a young Jewish girl, caught in the cross hairs between Communist Russia and Nazi Germany, during WWII. It was awarded the 2016 Bronze Medal in Historical Fiction by the Independent Publisher Book awards. 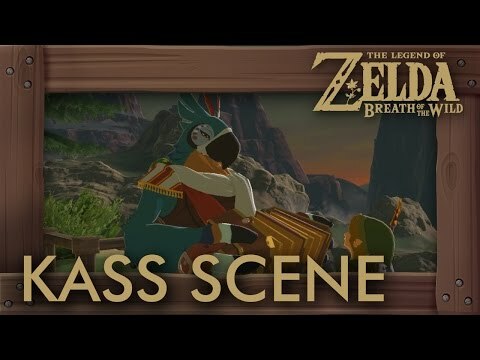 It's confirmed by Kass's final song that, in the end, Zelda truly loved Link, and it's heavily inferred that this love is what unlocked the triforce's power in her. After reading through the King's description of his right treatment to Zelda, I really believe that if he had showed compassion to Zelda in the first place, she would never have had a problem unlocking her power.